This service provides spectral radiation values computed from the satellite-derived solar radiation database HelioClim-3 version 5 over a horizontal plane. 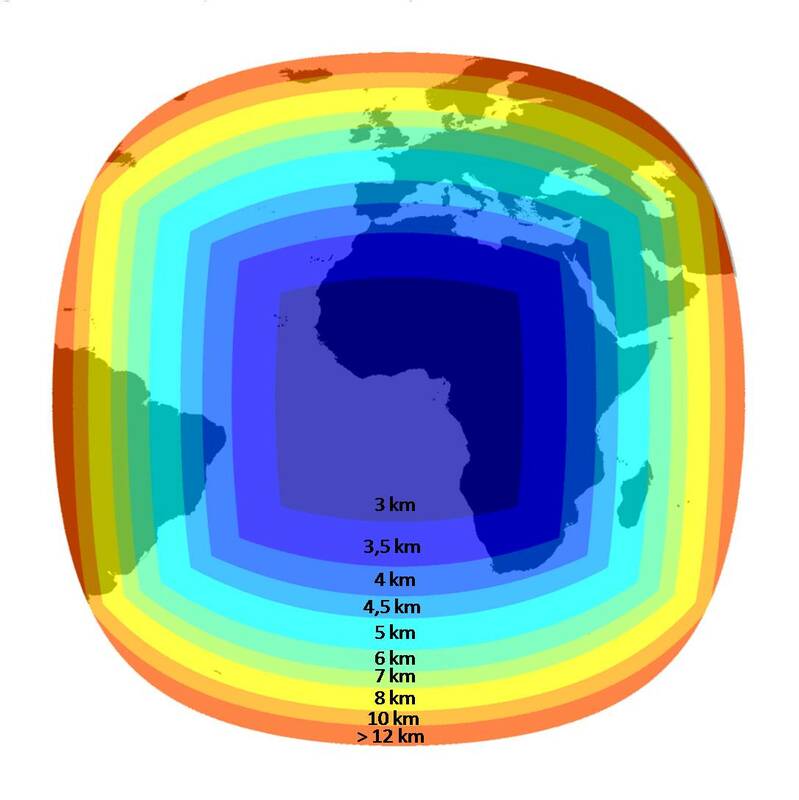 The geographical coverage corresponds to the Meteosat satellite field of view, i.e. covers Europe, Africa, Atlantic Ocean, Middle East. Spatial resolution is 3 km at Nadir and is increasing as soon as we get away from this point (see illustration on the right hand side). Temporal coverage of data is 2004-02-01 up to current day-2, and soon in real time. when "Ultraviolet (UV)" is selected, the service provides time series of UV-A (315–400 nm) and UV-B (280–315 nm), and UV erythemal data. Data are provided in W.m-2. when "Photosynthetically Active Radiation (PAR)" is selected, the service provides time series of PAR (400-700 nm) in all weather conditions, in cloud-free conditions, and at the top of the atmosphere. Data are provided in µmol.m-2.s-1.